NOTICE: Helium is presently in short supply. 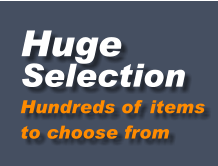 If you plan to inflate your balloons with helium you should first check on the availability of helium before ordering balloons. 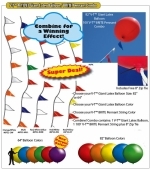 Combo Kit contains your choice of a Giant 64in or Giant 82in Latex Balloon in Blue or Red, and a 100ft Pennant String for flying your Giant Balloon. The Pennant Strings are available in Multi-Color, Red/White/Blue, Red & White or Red & Yellow colors. Also included is an 8in zip tie.